Posted by Sam Smith on Wednesday, July 27th, 2011 at 2:57pm. Newport Beach is known for it's many waterfront and bayfront homes for sale but often times the great oceanfront homes are not as well publicized. If you are in the market for an oceanfront property and your budget allows up to $1,500,000 then you may want to consider the oceanfront properties in the "Balboa Peninsula." The Balboa Peninsula is a long stretch of land the occupies both bayfront and oceanfront homes. 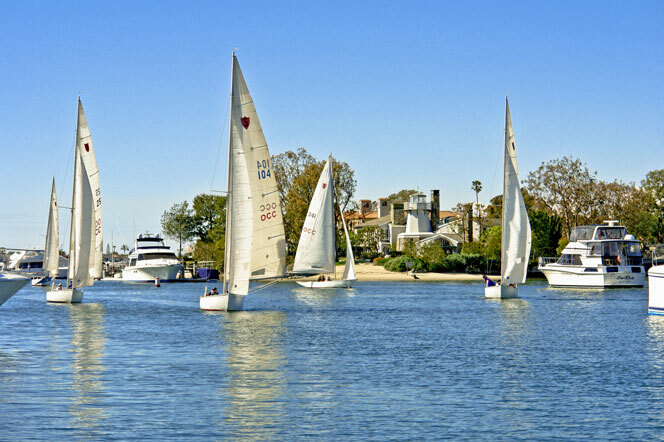 Typically you will find three to five streets that separate the Newport Bay from the Pacific Ocean with many beach homes in between. The oceanfront properties on the Peninsula will have a large stretch of sand in front of your property before you reach the ocean. There will also be a boardwalk in front of the oceanfront properties as many visitors and residents alike stroll up and down every day. A newly listed oceanfront condo is for sale for $1,385,000 in the Balboa Peninsula. The property occupies three oceanfront condos, one on each level. Being this close to the Newport Pier and Pacific Ocean is the main draw for this condo for sale. If you would like more information on the various oceanfront properties for sale in Newport Beach please contact any of our Newport Beach Real Estate agents at 949-444-1901. We will be more than happy to educate you on the Newport Beach marketplace!